A black and white portrait painting of Peter Perry. 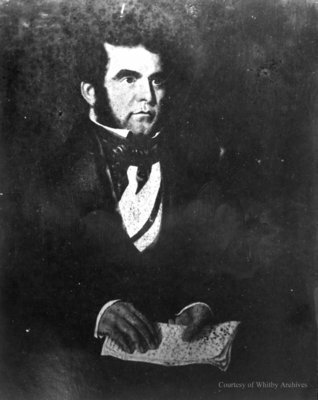 The portrait was painted by Nelson Cook at Toronto, Ontario in 1836. It is signed and dated on the back by Mr. Cook.